In other news, yes, the Japanese get to play the game before you. It was inevitable. As soon as Mario appeared on 3DS, sales would jump. You didn't have to be psychic to predict such a thing. Well, it finally happened. Nintendo released Super Mario 3D Land in Japan November 3, and the game immediately took the number one spot with a healthy 343,492 copies sold. In fact, the battle for first wasn't even close. Sony's PlayStation 3 effort, Uncharted 3 (released a day earlier) managed to sell 124,989 units. 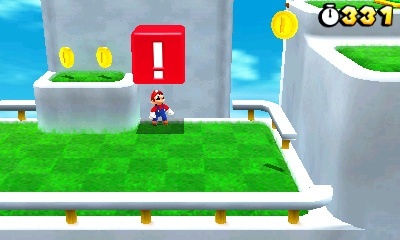 Turns out, Mario has also had an effect on 3DS sales. To be fair, the system has dominated in Japan ever since Nintendo cut the price in August, but the publisher ran through 145,271 systems this week. In all, a great sign that 3DS is on the rise. And to think, Mario Kart 7 is soon to follow.